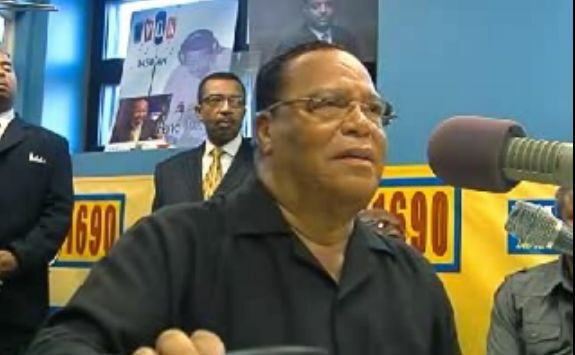 Minister Farrakhan smashes on media reporters during a commercial break on a local Chicago radio station. Alex talks with the Victorian Trades Hall president, Kevin Bracken, who has sparked controversy for his comments that the September 11, 2001, attacks were a conspiracy and not the result of terrorist activity on the part of Muslim cave-dwellers. Bracken is also the secretary of the Maritime Union of Australia. “In my mind the buildings were imploded,” Bracken said during an appearance on the Jon Faine radio program earlier this month. Alex Jones welcomes back to the show Bill Still, the producer of the Money Masters and more recently The Secret of Oz, a documentary about debt and the money system (now available at the Infowars Store). The Secret of Oz won best documentary of 2010 at the Beloit International Film Festival, the Silver Sierra Award for Excellence in Filmmaking at the Yosemite Film Festival, and other prestigious awards. Bill Still is a former newspaper editor and publisher. He has written for USA Today, The Saturday Evening Post, the Los Angeles Times Syndicate, OMNI magazine, and produced the syndicated radio program, Health News. He has written 22 books and two documentary videos. Peter B Collins talks with researcher Tod Fletcher subbing for Dr. David Ray Griffin, who is recovering from surgery and complications due to a staph infection he got in the hospital. Griffin’s new book, Cognitive Infiltration systematically shreds the specious arguments advanced by White House advisor Cass Sunstein on the best ways to undermine the 9/11 truth movement without disproving its main contentions. Sunstein, former law professor at Harvard and Chicago, released a document in early 2009 calling for infiltration of the movement as a way of discrediting its many credible challenges to the official story. One of Griffin’s strongest arguments is a call for a televised public debate on the issues. Kevin Barrett converses with Professor Anthony Hall (University of Lethbridge), author of the brand-new Earth into Property: Colonization, Decolonization, and Capitalism. Earth Into Property is not just a stunning alternative history of the past half-millenium, it’s the third 9/11 truth book — after Zarembka’s The Hidden History of 9/11 and Peter Dale Scott’s The Road to 9/11 — to be published by a major university press! Kevin Barrett converses with Elias Davidsson, musician, human rights activist, former computer programmer and systems engineer. Kevin Barrett, Adam Syed and Adam Ruff conduct a very interesting round table regarding censorship issues they have all experienced while contributing to 911blogger.com. Kevin Barrett talks with Craig Ranke of Citizen Investigation Team (CIT), makers of the documentary National Security Alert. They discuss the CIT tour of Europe scheduled around this upcoming 9/11 anniversary. Craig also discusses 911blogger’s bizarre decision to censor Barrie Zwicker’s ringing endorsement of CIT. Jonathan Kay’s mendacious propaganda: Is this the only “argument” the anti-truthers have? Osama bin Laden Responsible for the 9/11 Attacks? Where is the Evidence?